Public access to Morisset Hospital will soon be restricted to ensure the health and safety of hospital patients, the community and the local kangaroo population. Following a working group committee decision involving local MP Greg Piper, Hunter New England Local Health District, and representatives from RSPCA, NSW Wildlife Council and NSW Parks and Wildlife, the existing gates at the bridge on the main road leading into the site will be permanently locked, with access restricted to emergency services, authorised visitors and staff. Michael DiRienzo, Chief Executive of Hunter New England Health, says that in the coming weeks, the general public and tourists will no longer be able to enter the Morisset Hospital site. The current gate will be permanently locked while custom-built gates are being constructed, with installation of the new gates expected in March or April 2019. These gates will have swipe card access, intercom and video cameras for staff. Hunter New England Health will also install bollards at entry points, and additional fencing across the campus. “As the site will soon be closed to general visitors, we also request that tour operators and other visitor information websites remove any reference to the facility as a tourist attraction,” Mr DiRienzo added. Member for Lake Macquarie, Greg Piper MP, said that it was important to protect the safety of everyone on the site. Audrey Koosmen, Chair NSW Wildlife Council and President of Hunter Wildlife Rescue, also said that it was important to support the local wildlife to live naturally and safely at Morisset Hospital. 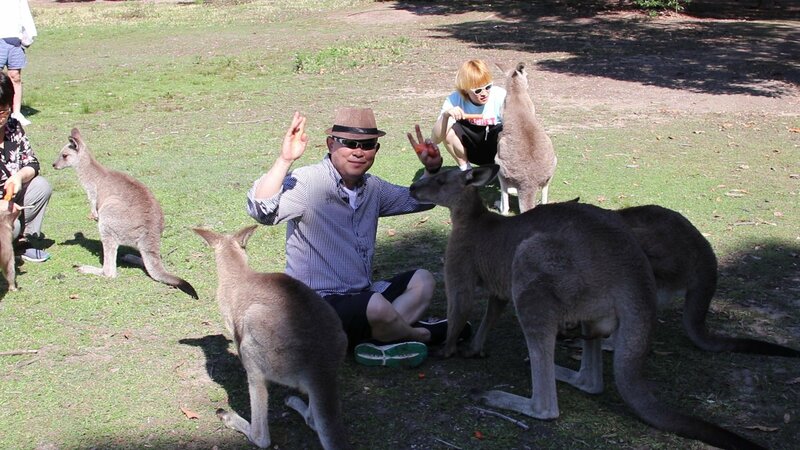 Mr DiRienzo said that, while the kangaroos are welcome co-tenants at Morisset, the increasing numbers of tourists coming to visit the kangaroos at the site was not sustainable. The gates on the bridge on the main road leading into Morisset Hospital will be locked in the coming weeks once the appropriate road infrastructure has been installed. Members of the general public are reminded not to visit the site unless authorised.